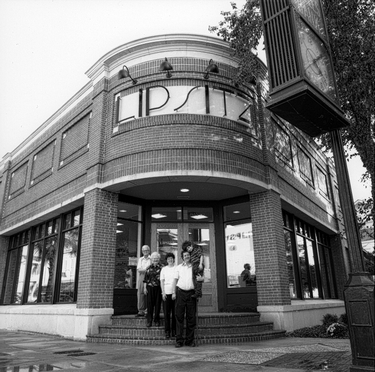 Lipsitz shoe store, Beaufort, S.C. The Lipsitz family at their new store at 828 Bay Street. The original store, still in business directly across the street, was established in 1902. Left to right: Joe, Lucille, Michele, Neil, Adam Lipsitz.